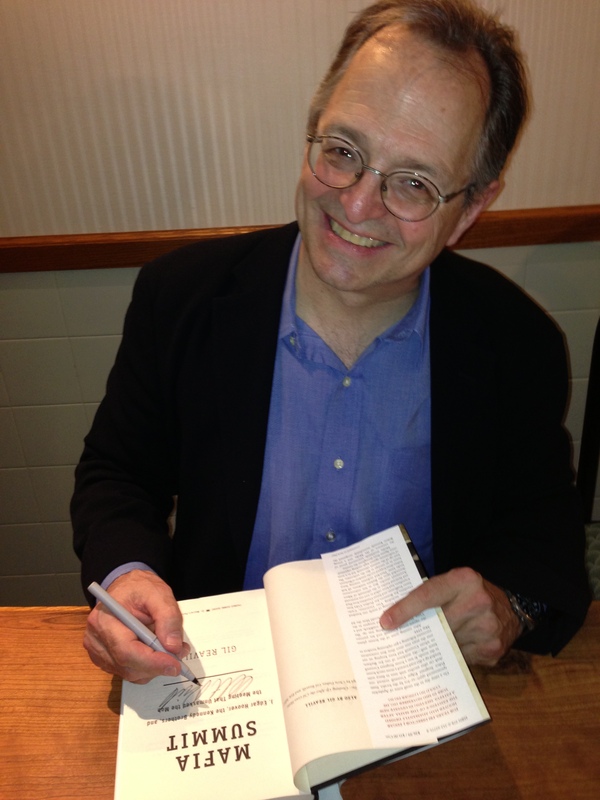 There were so many people who wanted to attend Gil’s talk on his book Mafia Summit: J.Edgar Hoover, the Kennedy Brothers, and the Meeting That Unmasked the Mob that the location had to change. 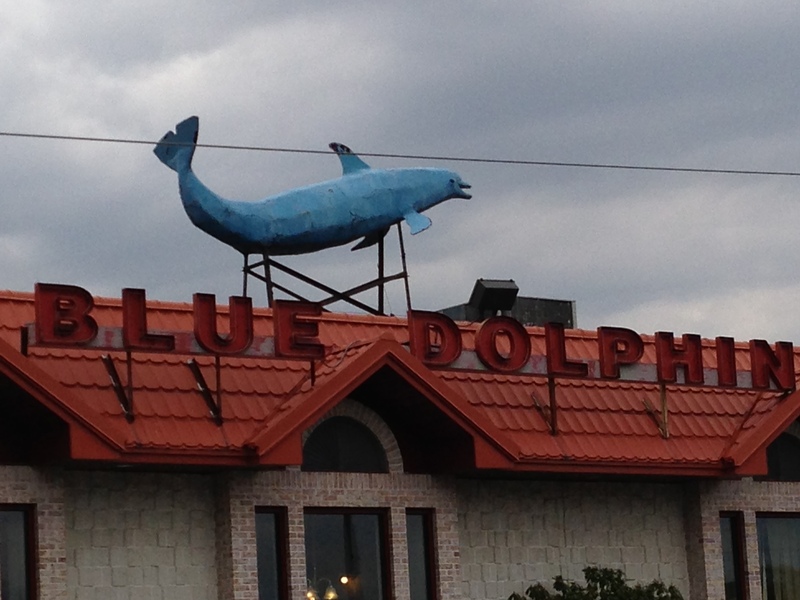 From the Apalachin Library, it would now take place in the cavernous party room at a local landmark, the Blue Dolphin diner. The book had strong local interest. Gil tells the rollicking story of the 1957 mobster meeting in Tioga county, New York, the assembly parodied in the Billy Crystal/Robert de Niro movie Analyze This, where the bad guys skulk off into the muddy woods. The book’s also about the mob wars that led up to the meeting, and the drama that followed between Hoover and the Kennedy boys. People here knew the Barbara’s, the family whose paterfamilias hosted the meeting, they socialized with them, worked for them. For them, it’s not only a national saga but an intensely personal story. We got to Binghamton – Apalachin’s big-city neighbor – and hungrily headed for a spiedie joint. Spiedies are a kind of marinated pork kebab that you squeeze between pieces of cheap, soft white bread. 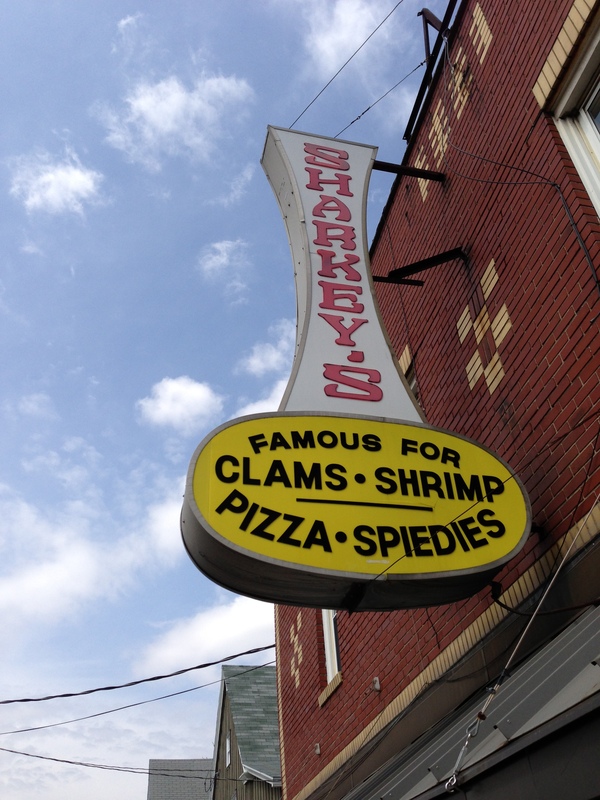 For some reason Sharkey’s also specializes in clams “available to go by the dozens, hundreds and bags,” boasting on its menu that, “The clams you eat today slept in the bay last night.” Since the only water nearby is the muddy, meandering Susquenna River, that gave us pause. 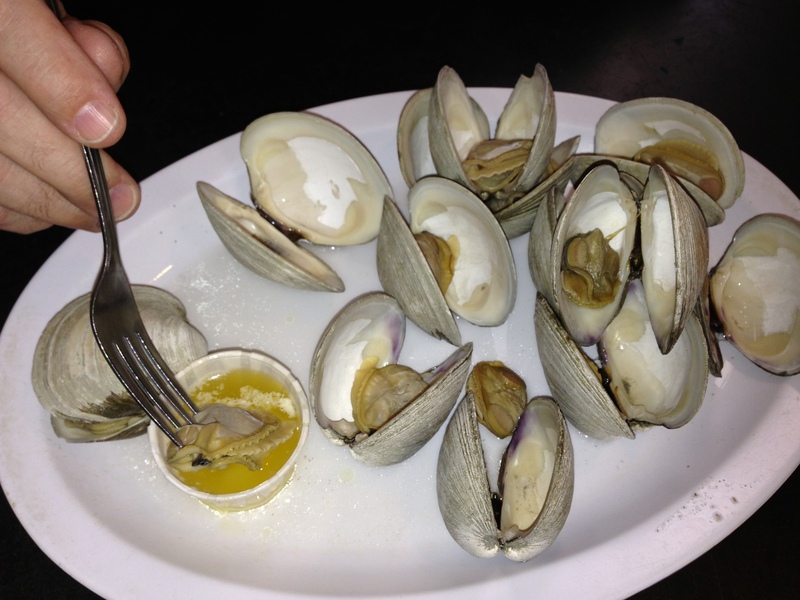 But didn’t stop us from ingesting a dozen coarse, prehistoric-seeming steamed clams. Just as we got ready to go, I noticed a button to the side of our old, scarred booth, a relic of another time. Some kind of a magic button, maybe capable of summoning a mobster’s ghost. The place dates back to 1947, and it was probably old Joe Barbara’s cigarette smoke that stained its walls a coffee brown. 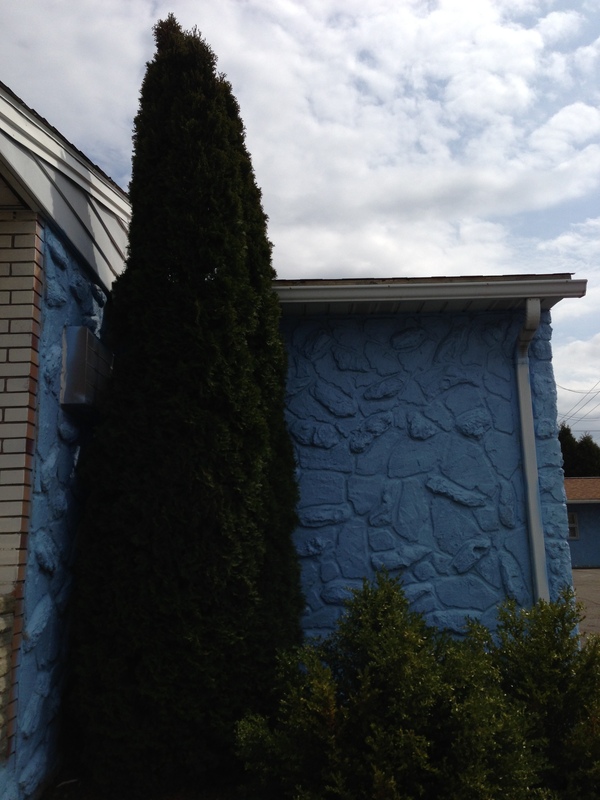 We stayed at a highway motel. 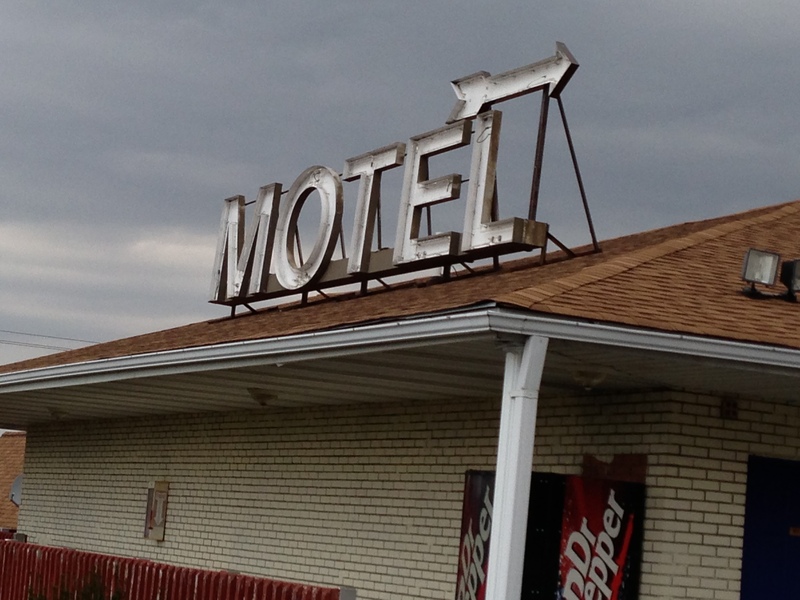 Not just any highway motel, but the one where Detective Ed Croswell, the hero of Gil’s book, first intuited that something was rotten in the state of Apalachin. Croswell, there on another police matter, saw a guy in a sharkskin suit making reservations for a group attending a “convention” and hung back observing the situation until he got the information he needed. The motel needs a bit of a spitshine but it definitely gets you in the mood for a mob-fest, like the one at the Blue Dolphin tonight that packed the room with people who drove an hour to get there. Gil has some serious hand cramps in its wake. That looks like a good read! I’m gonna recommend that to my book club, as well, just after I purchase a copy for myself. Jean, this blog of yours has made you and Gil my favorite authors, and I recommend it highly to all who will listen. Just put in my amazon order!! Can’t wait to read it!